Japan Transocean Air, a subsidiary of Japan Airlines, has finalized an order for 12 Boeing 737 Next-Generation airplanes as part of its fleet renewal program. The Okinawa-based JTA currently operates a fleet of Boeing 737-400s. The order is for the 737-800 version and is worth US$1.1 billion at list price. It was first announced as a commitment late March. The airplanes will start arriving in 2016. “This order is a key part of our strategy to bring the highest levels of comfort, amenity and convenience to the people of Okinawa, by continuing to operate the most reliable and fuel-efficient aircraft available today and in the future,” said Manabu Sato, president of JTA. Boeing says the 737-800 is the best-selling version of the 737NG family. “The Next-Generation 737’s market success has been confirmed by investors who consistently rank it as the most preferred single-aisle airplane due to its wide market base, superior performance efficiency and lowest operating costs in its class,” the company said today. The Boeing 787-9 Dreamliner (from my collection). Boeing’s 787 Dreamliner has received regulatory approval for extended operations (ETOPS), which the company said today would allow airlines to launch additional routes. “The move will allow 787s to be operated up to 330 minutes (51/2 hours) from a landing field and signals continued confidence in the airplane’s technical capabilities,” Boeing said. The U.S. Federal Aviation Administration had already allowed the airliner to operate up to 180 minutes (three hours) away from a landing field since they began flying in 2011. 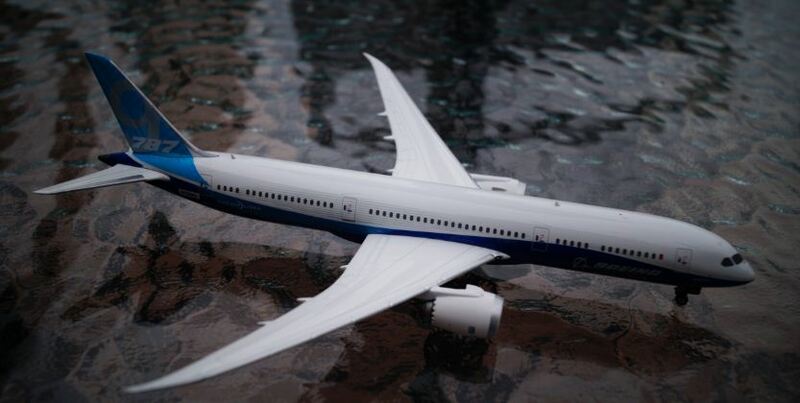 “We’re delighted that this capability, which was designed into the airplane from the very beginning, has been certified,” said Larry Loftis, vice-president of the 787 program. 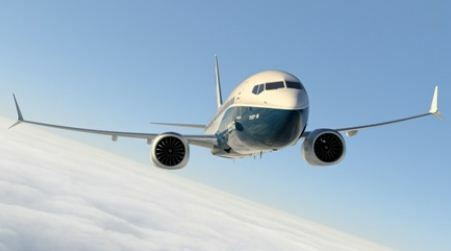 Boeing has received orders for 1,030 Dreamliners from 60 customers and delivered 146 aircraft. Air Canada, which has ordered 37 Dreamliners, received its first airplane this month. 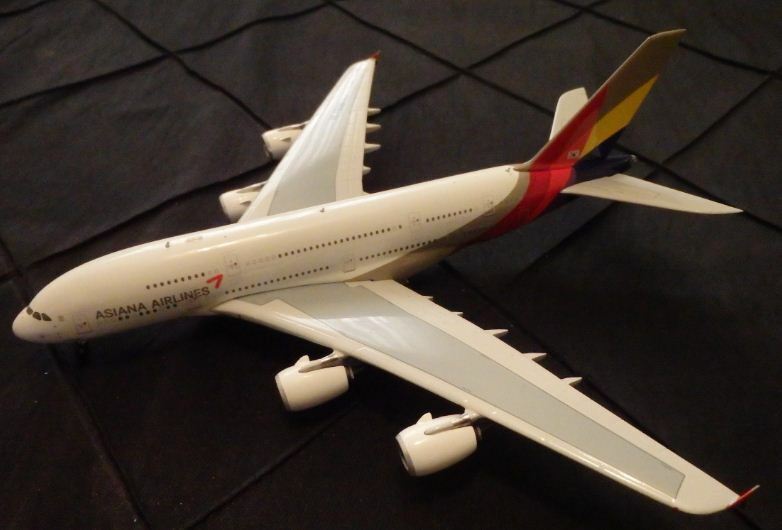 The Asiana A380 (from my collection). 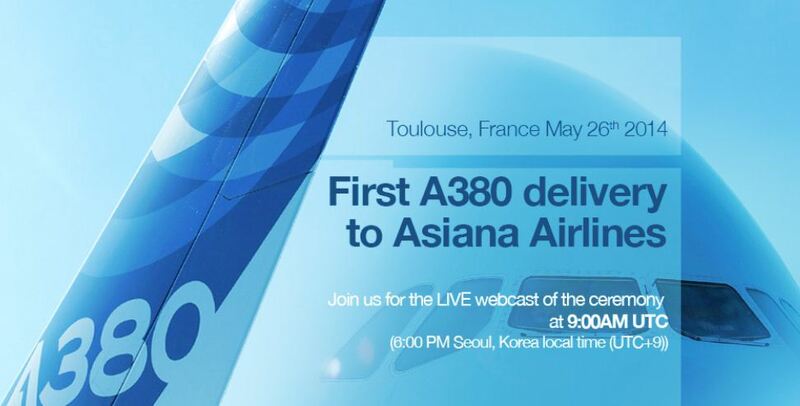 Asiana Airlines will take delivery of its first Airbus A380 on Monday morning at a ceremony at the European manufacturer’s main facility in Toulouse, France. The South Korean carrier will become the 11th airline to operate the superjumbo when it flies from Seoul’s Incheon International Airport (ICN) to Tokyo (NRT), Osaka (KIX), Hong Kong (HKG) and Bangkok (BKK) on June 13. And on Aug. 15, the airline will launch its first A380 service to Los Angeles (LAX). The aircraft being delivered on Monday had its maiden flight last December when it flew from Toulouse to Hamburg, Germany, where painting and cabin furnishing were completed in March. The Asiana A380 features 495 seats in three classes, including 12 First- and 66 Business-class seats. With a fleet of 83 aircraft, Asiana flies to 89 destinations in 24 countries, including six cities in the United States. The airline is a member of the Star Alliance that also includes Air Canada and United. The Boeing 737 MAX. Boeing photo. Less than three years after Boeing decided to build the 737 MAX, the company is reporting that orders for the single-aisle aircraft has topped 2,000, worth US$209 billion at list price. That is faster than any other Boeing airplane in history, it said. “Two thousand orders at this stage in the program is a remarkable achievement,” said Keith Leverkuhn, vice-president of the 737 MAX Program. The final assembly of the aircraft will begin this summer. Launch customer Southwest Airlines is expected to fly the airplane in the third quarter of 2017. It has ordered a total of 200 aircraft. Other major customers include WestJet and Air Canada with 65 and 61 airplanes respectively. Air Canada’s first 787 Dreamliner during a test flight. Boeing photo. 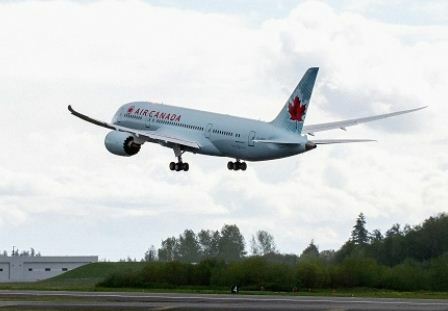 Air Canada has taken delivery of the first of 37 Boeing 787 Dreamliners ordered by the airline. The airplane took off this morning from Boeing’s airfield in Everett, Wash., on its delivery flight to Toronto (YYZ) after a handover ceremony attended by senior Air Canada and Boeing executives. “The 787 Dreamliner will immediately make a dramatic improvement to our fleet capabilities,” said CEO Calin Rovinescu. Air Canada’s first Dreamliner will be used on Haneda (HND) and Tel Aviv (TLV) routes from July. “The 787 will enable Air Canada to connect Canada and the world, while improving the flying experience of passengers as well as the company’s bottom line,” said Brad McMullen, vice-president of North America sales at Boeing Commercial Airplanes. Air Canada’s first 787 features three classes – an International Business Class with 20 seats, a Premium Economy Class with 21 seats and the regular Economy Class with 210 seats. The airline is organizing a media tour of the airplane at Toronto airport on Tuesday. Boeing has received orders for 1,031 Dreamliners from operators around the world and delivered 140 so far. An Air India Dreamliner. Boeing photo. A report says a windshield crack forced an Air India Boeing 787 Dreamliner to return to Frankfurt airport (FRA) minutes after taking off for New Delhi (DEL). The Times of India said today the incident happened on May 9. It said the windshield of the same Dreamliner cracked last November while landing at Melbourne airport (MEL) on a flight from New Delhi. The newspaper quoted an Air India official as saying that the airline so far had five instances of Dreamliner windshield cracks. “Windshield cracks happening with such regularity in a brand new plane are rare,” the unidentified official told the newspaper. Air India is one of the first customers of the problem-plagued Dreamliner. It has ordered 27 aircraft and taken delivery of 13. Malaysian low-cost carrier AirAsia is set to become the first airline in the world to use Interpol’s I-Checkit system for enhanced security, the international police agency announced today. It will allow passenger passport numbers to be compared against Interpol’s Stolen and Lost Travel Documents database, which contains more than 40 million records from 167 countries. I-Checkit, however, will not allow the airline gain direct access to the database. “With the pilot project respecting national legislation linked to data protection, no personal data will be transmitted to Interpol, with only the travel document number, form of document and country code screened against SLTD,” Interpol said Tuesday. “Should a passenger’s passport register a positive match against the database, AirAsia has procedures in place that will refer the passenger to local authorities. Interpol’s procedures would simultaneously be engaged to notify all relevant Interpol National Central Bureaus worldwide,” it added. I-Checkit will be deployed later this month, Interpol said. The initiative is part of Interpol’s Turn Back Crime global awareness campaign. “AirAsia is extremely pleased to be the first airline globally to collaborate with Interpol to implement I-Checkit,” said Group CEO Tony Fernandes. Interpol Secretary General Ronald Noble during a visit to AirAsia operations at Kuala Lumpur’s klia2 terminal. Interpol photo. Interpol Secretary General Ronald Noble called I-Checkit the new standard for airline security. “After today, airlines will no longer have to depend solely on countries screening passports to keep passengers safe from terrorists and other criminals who use stolen passports to board flights. 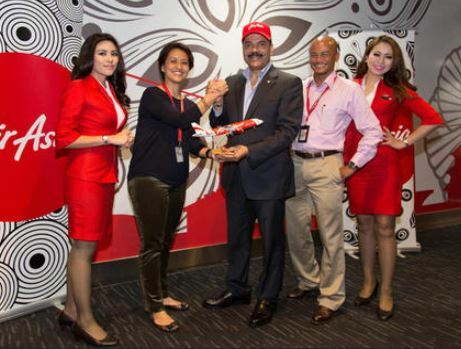 Like AirAsia, they will be able to do it themselves as well,” he said. 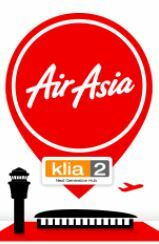 AirAsia Group, based in Kuala Lumpur, operates flights to nearly 100 destinations in more than 20 countries. Boeing is partnering with Brazilian aircraft maker Embraer to advance sustainable aviation biofuel development in the largest country in South America. They will conduct joint research at a centre in Sao Jose dos Campos Technology Park in Sao Paulo, Boeing announced today. The two companies will also fund and co-ordinate biofuel research with other Brazilian instiutions. “Boeing is working aggressively around the world to expand the supply of sustainable aviation biofuel and reduce aviation’s carbon emissions,” said Julie Felgar, managing director of environmental strategy and integration at Boeing Commercial Airplanes. Boeing’s global initiatives include a project in Abu Dhabi, United Arab Emirates, where it has partnered with the Masdar Institute of Science and Technology and others to produce aviation biofuel. “Embraer is committed in supporting the development of sustainable biofuels for aviation and the joint efforts with Boeing will undoubtedly contribute to the company continuing to be in the forefront of research in this area,” said Mauro Kern, executive vice-president of engineering and technology at Embraer. Boeing’s experts have concluded that when produced sustainably, aviation biofuel emits 50 to 80 per cent lower carbon emissions through its lifecycle than petroleum jet fuel. The fuel was approved for use in airplanes in 2011. Since then, Boeing says, it has been used on more than 1,500 passenger flights. The A350 water test. Airbus photo. The Airbus A350 XWB, which is due to enter service with Qatar Airways in the fourth quarter of this year, has completed the latest test in its certification process. Last week, the extra-body jet tested its ability to operate on wet runways at Istres, France, travelling successfully through water troughs. 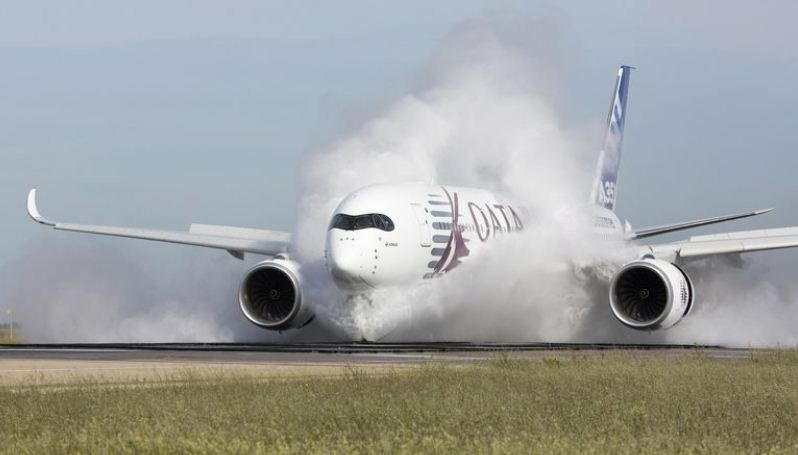 “This test validates how the aircraft would behave on a very rain-soaked runway, and verifies that neither the water under the aircraft nor the spray generated by the nose landing gear will enter the engines or APU (auxiliary power unit),” the European manufacturer said. The four A350 test aircraft have now accumulated about 1,600 hours in over 350 flights, Airbus added. The A350 features an extra wide cabin with a non-stop flying capability of more than 15,000 kilometres. It will be built in three versions – A350-800, A350-900 and A350-1000. Qatar Airways, with an order for 80 A350s, is the top customer. In all, Airbus has received 812 orders from 39 customers worldwide. The Qantas A380. Qantas photo. Qantas Airways has stolen the thunder from its partner Emirates by announcing that it will launch an Airbus A380 service to Dallas/Fort Worth (DFW) a couple of days before the world’s largest operator of the superjumbo does. 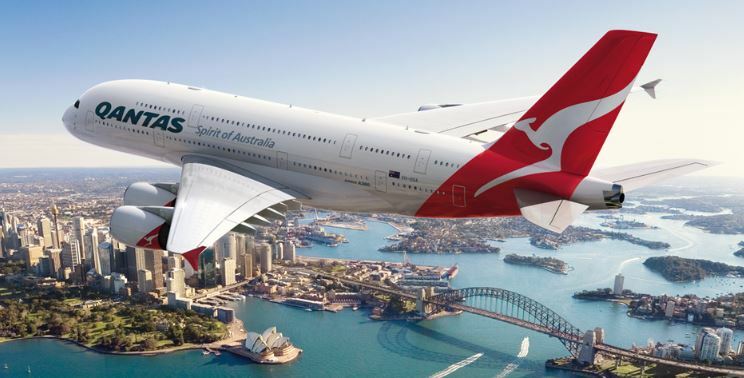 “Qantas customers travelling on the popular Sydney-Dallas/Fort Worth route will soon be able to enjoy the world’s largest passenger aircraft on the world’s longest route,” the Australian carrier said Wednesday. The A380 will replace a Qantas Boeing 747 as of Sept. 29. 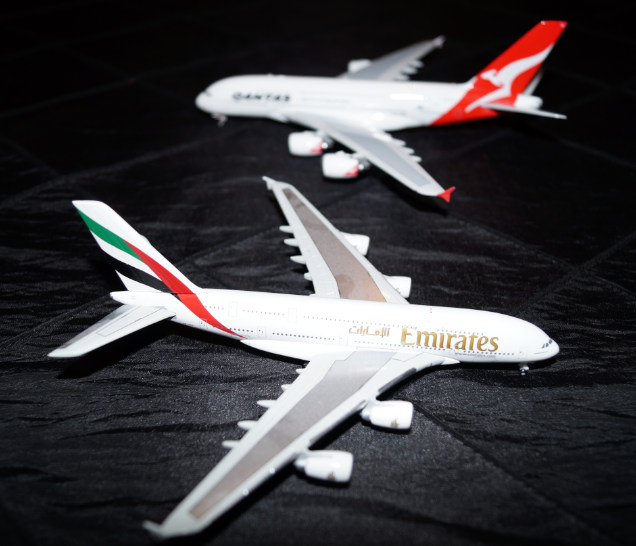 Models of the Emirates and Qantas A380s. Emirates, which operate 47 superjumbos, announced early last month that its A380 service will begin Oct. 1. That was supposed to be the first scheduled A380 service to the airport, where the airline had been operating a daily service since 2012, using a Boeing 777. “On Oct. 1, the world’s largest passenger aircraft will touch down at DFW with a daily service between Dallas/Fort Worth, the world’s fourth busiest airport, and the city of Dubai (DXB),” the airline said in announcing the service. “Dallas/Fort Worth will become the 28th international destination to which Emirates operates the aircraft, joining New York and Los Angeles which are already served by the A380.” Emirates also operates an A380 to Toronto, three times a week. Qantas has been flying to the United States since 1954, when it operated a Super Constellation from Sydney to San Francisco, and to Dallas/Fort Worth since 2011. “It is the hub for our partner American Airlines and offers more than 30 destinations beyond the west coast of the United States as well as parts of Canada and Mexico on their network,” said CEO Alan Joyce. Qantas will offer six flights a week to Dallas.